"The Palace Hotel, earlier known as Bikaner house is a luxurious heritage hotel in Rajasthan's sole hill station, Mount Abu. It is the restored summer residence of the royal family of Bikaner. The architectural marvel was built in 1893 by Maharaja Ganga Singhji and designed by the renowned architect, Sir Swinton Jacob. The Palace Hotel is set in midst of vast grounds surrounded by tranquil hills. The hotel enjoys one of the best locations in Mount Abu and was visited regularly by the Maharaja and the royal family. 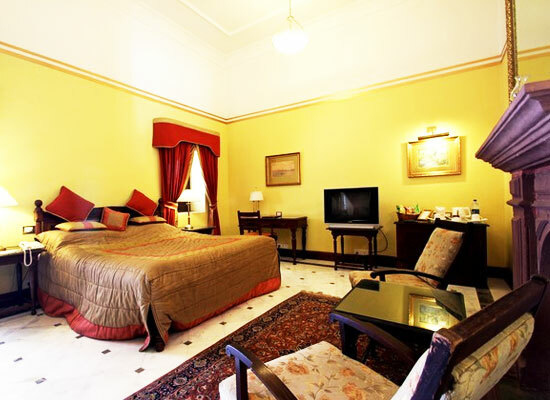 In 1962, Maharaja Karni Singhji of Bikaner decided to convert the royal residence into a hotel. Keeping alive the heritage of the Maharajas, guests are treated to a royal living. The Palace Hotel (Bikaner House) was made in 1893 under the management of the Council of Regency. The blueprint of this splendid structure was chalked out by Sir Swinton Jacob, an eminent architect of his time. In the year 1962, Maharaja Karni Singhji made the choice to alter this majestic residence into a hotel. 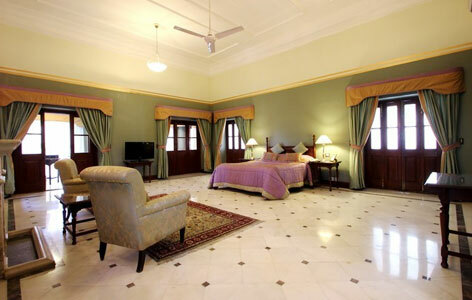 The accommodations of the Palace Hotel are 33 luxury rooms. The lavish lodgings oozes of old world charm, warmth and hospitality. Many of the rooms have been refurbished, retaining some knick-knacks from the times royalty used to occupy the rooms. The traditional furnishings take you back to the bygone era. Modern conveniences have been properly installed in the rooms. Enjoy the experience of royal living in the palatial hotel. 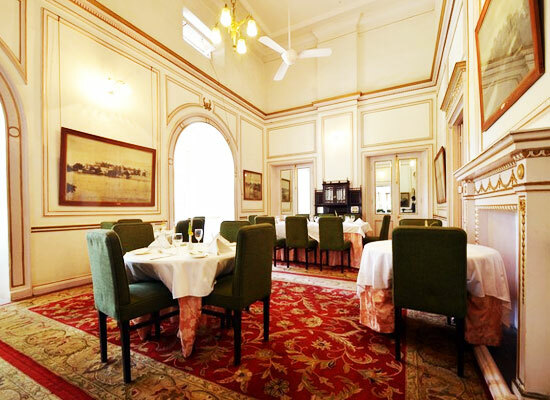 The dining rooms of Palace Hotel (Bikaner House) in Mount Abu dole out mouth-watering traditional and continental fare for its guests. 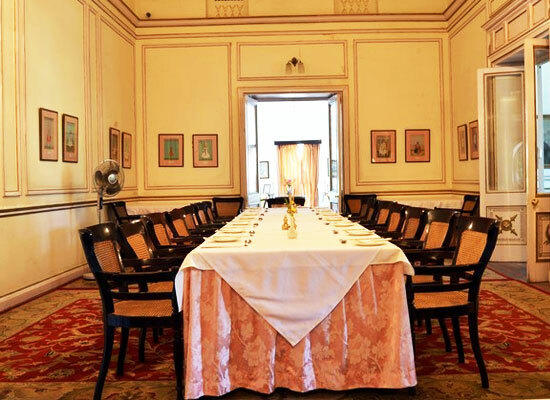 If you wish, Palace Hotel (Bikaner House) can also offer mouth-watering barbecues along with a bon fire. 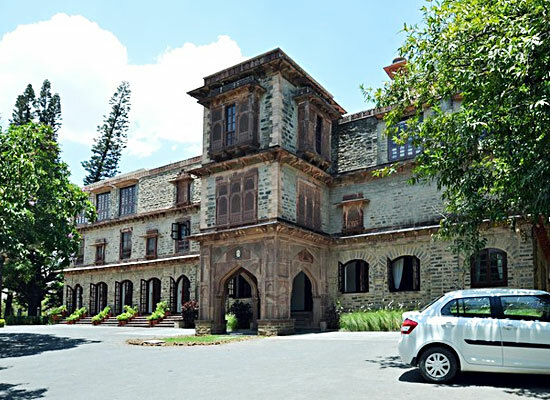 The Palace Hotel (Bikaner House), Mount Abu also organizes food or picnic hampers beside the lake. Mount Abu once played host to the illustrious Chauhan kingdom of Rajasthan. It was a preferred destination of the Rajput rulers in summer. Afterwards, the British government utilized this city as their headquarters, following a lease from the Maharaja of Sirohi. Mount Abu was also a much loved place for the British, chiefly to overcome the desert heat.